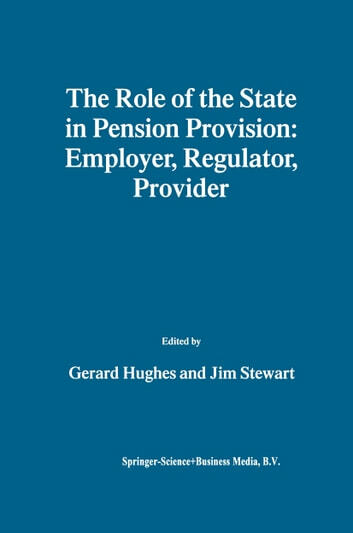 This book deals with the role of the State in pension provision as an employer, regulator and provider. Part I deals with problems and reforms of public sector pension systems in OECD countries. The countries covered are Denmark, Finland, Germany, The Netherlands, Norway, and the USA. Part II considers the regulation of occupational pension schemes in The Netherlands and the United Kingdom, and whether there is still a role for the State in providing earnings-related pensions in the United Kingdom. Part III presents demographic projections for the next half-century, using Ireland as an example, looks at some of the options which have been used in Finland, and proposed in the United States, to cope with population ageing, and examines issues of intergenerational equity which are posed by these options. All the chapters deal with recent reforms. The chapters are written by acknowledged experts in their field who are independent of both the pensions industry and Government. 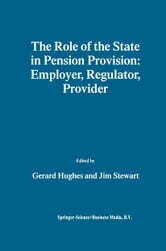 Hence the chapters provide an informed critical account of current developments in relation to the reform of occupational pension schemes in the public sector and of the debate about the State's role as a regulator of private pension schemes and a provider of pensions based on the social insurance principal. The book is important as a source of information about pension schemes in OECD countries. It shows that there is not a unique model of occupational pension provision for public sector employees and that the pension benefits which are provided in different countries are quite variable. It also shows that public sector occupational pension systems have changed and are in the process of considerable further change in a number of OECD countries.